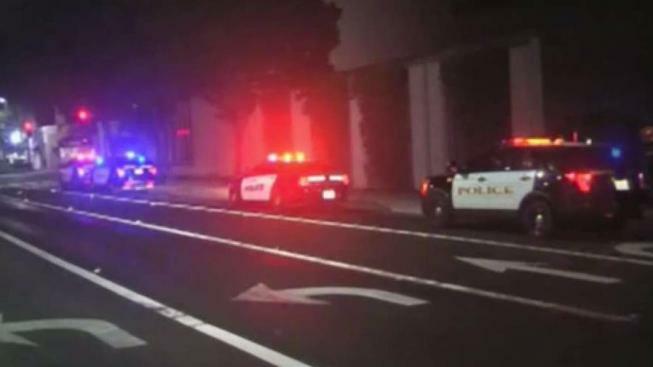 An elderly man was seriously injured in a hit-and-run collision late Wednesday night in Pleasant Hill, according to police. At 10:56 p.m., officers responded to the intersection of Gregory Lane and Contra Costa Boulevard on a report of an elderly man bleeding from the head. At the scene, officers found the 80-year-old man near the southwest corner of the intersection. He was on the sidewalk next to the Bed, Bath and Beyond store, police said. Police determined that the man, who was conscious, had been struck by a vehicle. He was taken to a hospital for treatment of serious injuries that were not considered life-threatening, police said. Police searched the area but did not find the vehicle that struck the man. The suspect vehicle may have minor to moderate damage to the front passenger corner, including a damaged headlight or turn signal with missing plastic fragments, police said. The case remains under investigation and anyone with information is encouraged to call Pleasant Hill police at (925) 288-4600.